A recent DEA bust seized 70 kilos of pure heroin with a street value estimated at $50 million. “The person in the bust was the kingpin in the East Coast area from the Sinaloa cartel,” says reporter Kathleen Phalen Tomaselli, who reported a two-part series on the heroin pipeline into Vermont in the Rutland Herald. To be successful in Vermont, Phalen Tomaselli says that New York City drug dealers make friends with heroin addicts. “That starts this whole circle, and the heroin addicts in Vermont become the human infrastructure of this heroin business,” she says, adding that the Vermont connections help the dealers sell their product, give them a place to stay when they come to the state and drive them around. The personal nature of the network makes it harder for police to track drug dealers’ movement. For helping to establish these trafficking networks and the client base, the addicts are paid in heroin. It’s a lucrative market here in Vermont. A single dose of heroin goes for $3 or $4 in New York City, but can sell for closer to $30 or $40 here in the state. 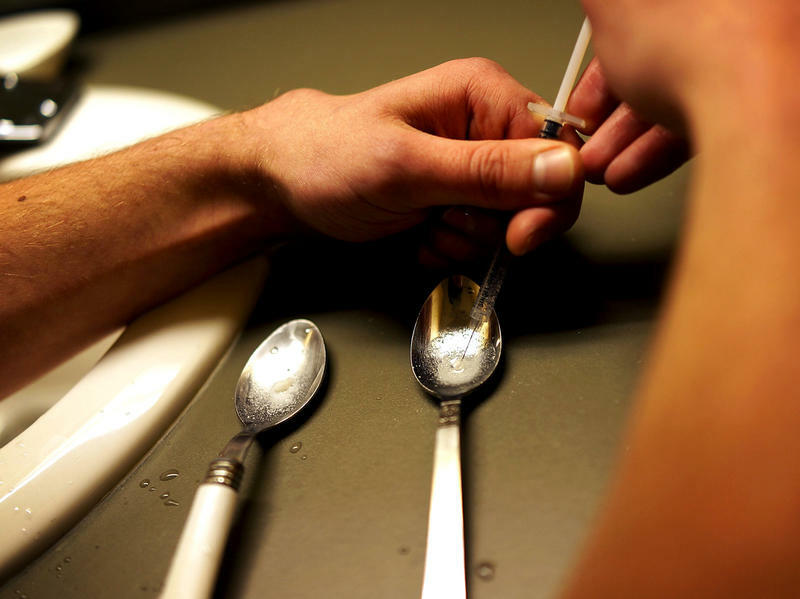 Often, as the heroin moves down the supply chain, it’s cut with sugar or baking soda, and sometimes the narcotic pain reliever fentanyl, which has been associated with deaths of addicts. Stopping heroin trafficking and use is the main drug enforcement priority in Vermont, says Phalen Tomaselli. See how drug use is affecting Vermonters and their families VPR's Traces Project. Over the next three years, jobs in law enforcement, investigation, paralegal services, and corrections are expected to grow by as much as 12 percent. Not a staggering hike, perhaps, but apparently reason enough for colleges to add or expand criminal justice curricula. Last year, the Vermont Legislature approved the use of medication called Narcan that can prevent drug users from dying of an overdose. The Health Department set up two pilot sites in Burlington and White River Junction. Now Narcan is becoming more widely available. On a recent afternoon in his small office on the second floor of St. Johnsbury’s Police Department, Chief Clement Houde pulled a rectangular pink cardboard container out of his desk drawer. It’s about the size of a travel toothpaste box. I first met Lance Rice last May, on the day before the 23-year old was scheduled to move from his mother's apartment in Turners Falls to a rehab program in New Bedford. Friends and family come in and out to say goodbye, as he packs his bags and pages through newspaper clippings from the previous, miserable year. "That is definitely when I was at my very worst, right there," Rice says. A survey of 9,000 patients at treatment centers around the country found that 90 percent of heroin users were white men and women. Most were relatively young — their average age was 23. And three-quarters said they first started not with heroin but with prescription opioids like OxyContin.